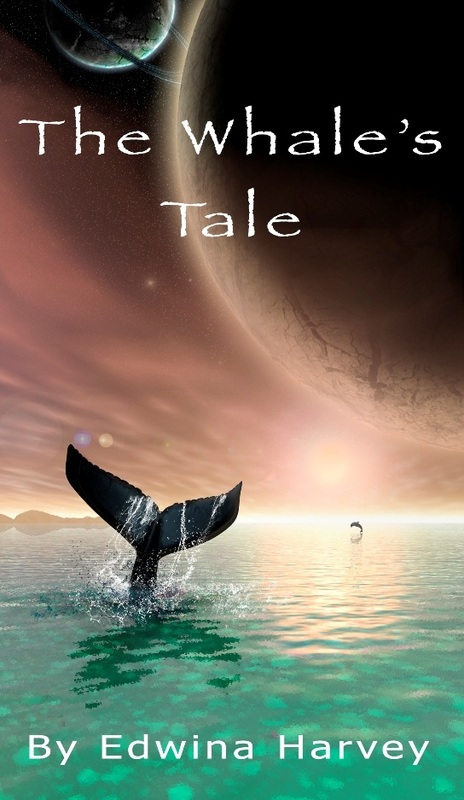 The Whales Tale is a 236 page science fiction novel suitable for 9 to 12 year olds, but can be read and enjoyed by adults as well. Its about a 14 year old girl called Uki who gets caught hacking into someones computer system to steal a file. Her punishment as decreed by the courts is to serve her sentence with the victim of the crime. The victim is Targe, a whale, who spends half his year as an Ambassador for the Whale Nation of Earth and the other half as a touring whale singer visiting other planets. Then theres Charlie, Targes dolphin companion who does the technical support while touring and is the other main character in the story. Set in Earths future, its a very enjoyable original story about what it could be like if humans and cetaceans could communicate and work with each other. The synopsis of the book is spot-on. To see the full synopsis and read an excerpt go here. I read the prelude and the first few pages and decided it was a book that I would probably like to read, and I did enjoy reading it. I think I would have liked this story as a child. The prose works in a simple, practical style to tell a story about Ukis personal growth and development under the care of the cetaceans. Uki, Targe and Charlie are well-developed rounded characters. They are likable characters, especially Charlie. The interaction between the three characters is well-written and credible. Uki has a believable back story. Throw in a trip to outer space, Ukis exploration of the ship they are travelling in and a minor adventure; it makes for a good read for a child. There is a hint of marine conservation in it but only a hint, so dont let the prelude influence you either way. It is primarily a science fiction story. One other thing that I personally liked about this story was the lack of detailed description or explanation about the technology. It just is. The space ship they travel in is big enough for a whale to swim around in comfortably, so if you can believe the space ship the rest of the story works well. Targe and Charlie have abilities that are standard for their species. This is put to good use however a tiny bit more detail strategically located early on in the story would have helped. Charlie and Targe also carry on like how cetaceans might behave if the situation in the story was real. They dont necessarily act "human" but they do act like "sentient beings that live in water as part of their natural habitat". As an adult reader, the one sort-of negative for me was the very occasional use of science fiction technology terms that I have come across in science fiction TV shows. Given that all these were just incidental usage in passing within the story and not a core component of the plot, it is only a minor quibble. Other SF books do the same but for some reason it was a little bit more obvious in this book. My adult brain kept thinking about how a crew of 2 (Targe and Charlie) could possibly manage such a huge space ship and do singing shows at the same time, despite the automation and robots. I kept thinking a skeleton crew of dolphins and humans in the background would have added to the practicality of the scenario without affecting the story. The story is consistently written, beginning, middle and end. The setting is established in Chapter 1 and the story is moving along nicely by Chapter 3 to a credible ending. No slowing down anywhere. The book has solid production values. Care has been taken in the writing, proof-reading and editing, resulting in a coherent story. It comes with a simple but attractive book cover that suits the story. Available directly from new publisher Peggy Bright Books. Their website also lists shops that are stocking the book. Peggy Bright Books, PO Box 2087, Maroubra. New South Wales. 2035 Australia.